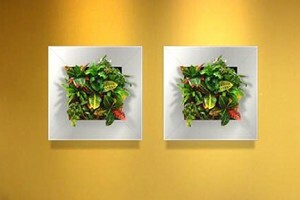 According to NASA research, having interior plants and flowers greatly improves the workplace atmosphere. Modern electrical equipment in offices, along with polystyrene ceilings and carpeted floors, can cause aliments such as runny eyes and noses, susceptibility to colds and flu, chest infections, and headaches. Photocopiers and laser printers can also emit low-level ozone that can be the cause numerous health problems for employees. Our plants will replenish the air by riding it of toxins such as carbon dioxide and low-level ozone, thereby improving employee health and happiness. Plants have also been proven to reduce ambient noise levels and increase productivity in the workplace by up to 17% (New Scientist, July 1997). Additionally, psychologists have concluded that green foliage plants lower blood pressure, calm nervous systems, and relieve anxiety. The science adds up to happier, healthier people with the addition of interior plants!